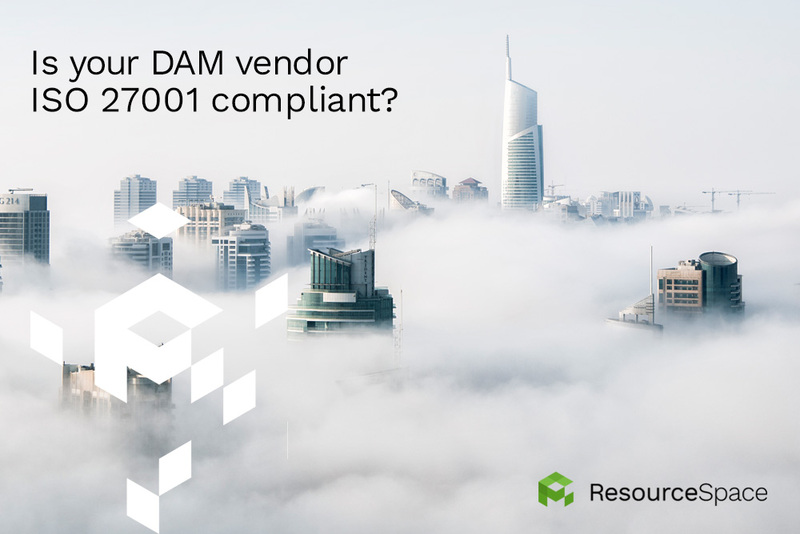 Is your DAM vendor ISO 27001 compliant? Unless you're involved in the technical side of your organisation, you may not have heard of ISO 27001. However, this is a very important term to be aware of when it comes to protecting sensitive company data and files. ISO 27001 is a certification of your information security management system (ISMS). It ensures that you have a sufficient framework of procedures and policies to optimise the security of your systems, making sure they are implemented, maintained and monitored in a way that reduces your chances of suffering a data breach. All good technology companies should ensure their processes and policies are compliant with ISO 27001 standards. And if you're investing in new software that involves data storage, such as a Digital Asset Management (DAM) solution, you should always check that the solution provider is ISO 27001 certified, to protect the security of your data. To maximise security, there are things any technology partner you are working with should ensure to keep your data safe. For example, their data centre needs to be ISO 27001 compliant to reduce the chances of data breaches - whether through operational error or being hacked. Additionally, if the company has put an ISMS in place, ideally they need to ensure their process and policy framework is ISO 27001 compliant to ensure the latest security standards. Failing to do this could make your valuable data vulnerable - for instance, they could be using an easily guessable password to access the data centre, such as password123. How can I protect sensitive company data? The best thing you can do when selecting DAM software, or any other type of solution that involves storing sensitive files, is to understand what the product offers, and ask the software provider about their approach to security. Be prepared to quiz potential partners about their procedures and protocol. Ideally, you should be looking for a vendor that takes security best practice seriously, ensuring their company processes are ISO 27001 compliant, as well as their data centre. What if we host our DAM ourselves? Open source software like ResourceSpace can be hosted by us, or you can host it yourself - either on premise or in the cloud. If you want to ensure your DAM is secure make sure your data centre is ISO 27001 compliant (or consider one of our hosting packages). At ResourceSpace, we're proud to offer extremely secure DAM hosting packages, which are compliant with the latest ISO 27001 regulations. To see how you can make file storage and sharing simpler at the same time as increasing document security, take a free ResourceSpace trial. To speak to us about our approach to data security, get in touch.